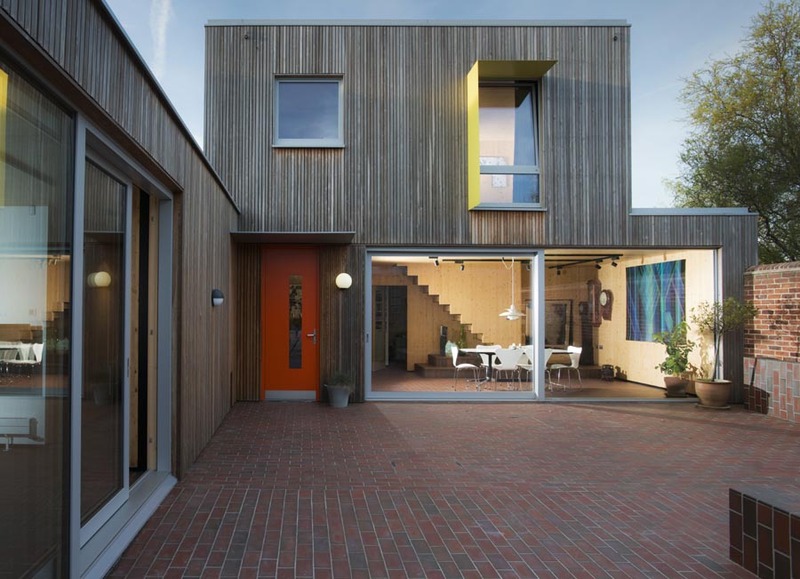 This low energy family home was designed by Ruth Butler Architects. It is located on a tight brownfield site surrounded by neighbours but its clever L shaped design has created private courtyard spaces. 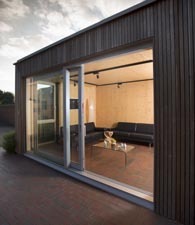 It features a combination of timber cladding and clay quarry tiles both inside and out. 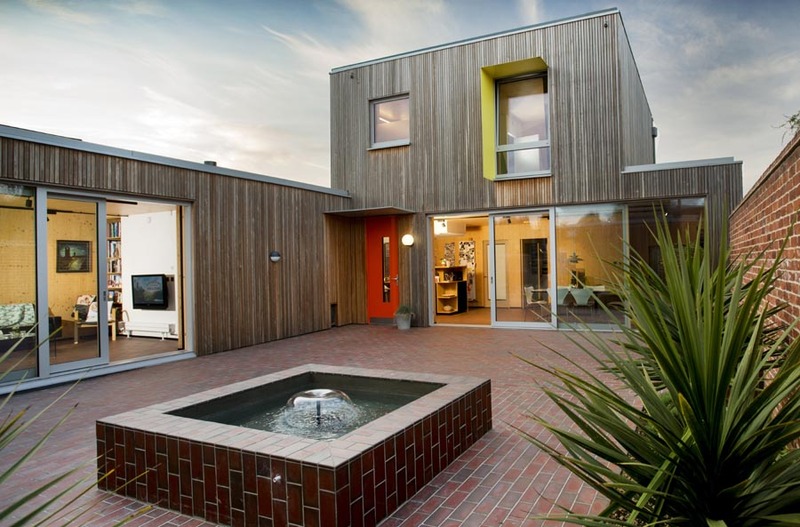 As well as meeting the stringent Passivhaus requirements, the architects had 2 additional goals. One was to create a healthy indoor environment with zero VOCs and very low internal particulate pollutants,and the other was to to create a light and airy open plan living with excellent indoor/outdoor flow to the courtyard gardens. Ketley quarry tiles have played a large part in achieving both these objectives. They are a VOC free flooring material and therefore give the best possible air quality inside the home, therefore promoting healthy living. On this project, they have been used extensively both inside and out. This has allowed the inside living space to flow seamlessly out onto the terrace through the sliding patio doors uniting the 2 areas. For the interior, the architect uses different bond patterns, both a herringbone pattern as well as a running bond to demarcate different areas. Likewise the landscape architect has designed 2 areas of running bond tiles running perpendicular to each other across the terrace and this has a similar effect of breaking up the outdoor space into 2 defined areas. 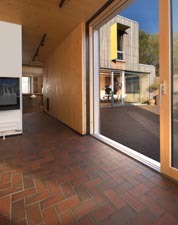 Inside the quarry tiles are light multi and outside they are a blend of light and dark multi, introducing a greater variety of warm clay tones that add further interest and complement the natural timber cladding of the building. Architect Ruth Butler comments,"We're delighted with the quality of the Ketley quarry tiles, they add a rich colour and texture to our home, linking inside and outside in a seamless way. They are also integral to our vision for a healthy home, with VOC-free finishes and excellent indoor air-quality".